This blog is not for bipolar people only. Today I found out that someone who had been reading my blog didn’t feel comfortable commenting because she does not consider herself bipolar. She may have been surprised to learn that I do not consider myself bipolar either. Though I say this again and again people do not remember it and in this case, unfortunately it kept someone, who clearly has keen insight into the issues this blog deals with from commenting. Of course I’m always picking up new readers as well and many people just look at my URL and assume I’m bipolar. Certainly many of you know this is an inclusive blog and many of my commenters do not identify as bipolar—many of you do as well. And then, of course, there is the vast majority of my readers who leave no comments at all whom I know nothing about!! Come on out you lurkers. Would love to know who you are! Just know I greatly appreciate each and everyone of you even if you choose to never say a word. This blog is documentation of my journey off psychiatric medications as well as an introduction to alternative forms of care for mental health disorders regardless of whether one is on medications, off medications, or coming off medications. 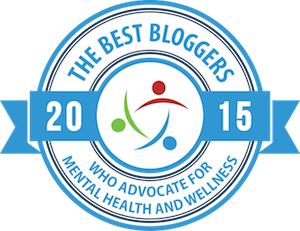 This blog is not only for people with bipolar disorder. 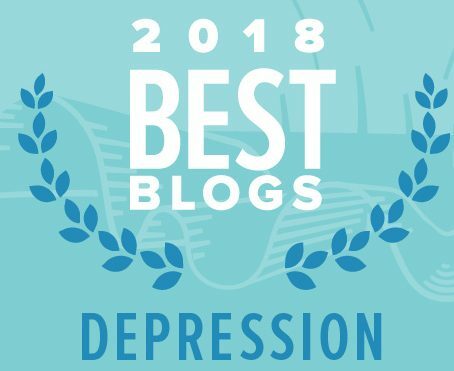 As I say in my “Undiagnosing Myself” post I do not believe I’m bipolar but I did for many years and I chose the url and original title of the blog to attract people who may have experiences like mine and believe themselves to be bipolar. This blog can also be for anyone who does identify bipolar or who identifies with any other psychiatric diagnosis. All diagnosis can potentially respond to natural treatments. It’s possible for anyone to consider life without medication. And so this is above and beyond all else a blog that is a contemplation about healing ourselves through means other than medication whether you’re on medications or not. And I might add whether you choose to stay on them or not. While it is my personal opinion that drugs are neurotoxins that harm, people can improve with natural healing methods even while staying on drugs. Finally this blog can also be for anyone struggling with emotional difficulties who have never been diagnosed and have never taken meds. The self-care suggestions are potentially helpful for anyone with emotional distress. Of course all this is done through my personal experience and things I read and am drawn to and nothing should be considered advice. I offer all this simply as food for thought. I have saved my own URL on my own domain that is simply “beyondmeds.net.” I would like to make that change and lose the whole emphasis on bipolar disorder now that I’m established. On the other hand, I don’t feel so confident in my establishment as to change URL’s just yet. That involves losing hundreds of links to this blog. So until I reach what I consider a more critical mass, I am staying here. So to all my diverse readers, thank you and for those of you who might think you might not fit in, think again! i am not bipolar. i am not anything except traumatized in some deep place, and made to feel a lot of pain from whatever got severed in that deep place. people and things get broken. sometimes you can put them together, other times you’ve got to make do with the brokenness, other times yet you just need to throw them away. i think i’m one of those who are barely salvageable. it can go either way. i’ll keep you posted. Ama…I relate to your post….I also sometimes think that what you perceive to be your greatest “curse” is also your greatest blessing. The more intense the curse, the more intense the blessing. I imagine you probably have something very intense and unusual to offer the world that an “unbroken” person couldn’t even dream of offering. As the songwriter/poet Leonard Cohen writes “Everything is cracked. That’s how the light gets in”. Gianna, I too don’t consider myself bipolar, and never have. I come here to listen to your journey about getting off meds, since I am on that same journey. (I also just like all your writing, whether it’s about meds or not…it’s a very “wholistic” blog). I too hope the lurkers will come out. The more of us that are “talking” the better, as far as I’m concerned! It’s so good to see you. I think of you every day…I’m so sorry you’re in so much pain right now…I love you! And Doe, ama, does have wondrous things to offer…her blog is hauntingly beautiful and from what she tells us she is a superb university teacher. thank you guys. wonderful words. doe, the thing is, if you are broken too badly, you can be as wonderful as all get out, but you cannot carry on. the pieces fly apart. fragments drop to the floor and are stepped on by others. how many lost pieces are too many lost pieces? how many pieces of me must stay together for me to still be me? it’s not as bad as all that. i’m fine. i just feel less optimistic than usual. there’s some serious, serious brokenness going on. i read a quick bio of jaco pastorious this morning. his music is excellent. guy didn’t make it. am i one of those who don’t make it? i’ve known a couple of those. at least. they didn’t make it (neither killed themselves, by the way; life took care of that). what should make me think i am not one of those? why shouldn’t i be? what presumption, what arrogance should make me believe that i am not? i may very well be. this is something i need to look at in the face. this is something those who love me need to look at in the face. i’m sorry. as i said, it’s not as bad as all that. but the cracks are dangerously large these days, and i can gape underneath, and it’s very, very dark. There are a few of us who started out writing under the “bipolar umbrella” and who realized that what we have to say has far greater application to a much broader audience. And I think it’s important for us to let people know–as you have done–because our URL’s reflect our earlier writing. What’s nice about a broader readership is that we can stop dwelling on bipolarity and write about going off medication and other wellness techniques we’ve developed, and hear from a wide variety of people. And by receiving comments from people who transcend bipolarity, we will learn that everyone has “issues,” and what we have in common is far greater than we may have thought! I’m sorry there is so much darkness in your life right now…I can empathize with your suffering and I, too have dark moments. I feel like all I can offer now is that you continue to feel as I know you so bravely do. I wish I had better answers for you. I do get emails from some of you from time to time…they always make me happy! Btw – I seem to have lurkers myself. I guess people just like to read stuff but don’t have anything to say. It actually drives me nuts when I watch my live feed because I try to figure out who the regular reader is that lives a few towns over from me and uses Safari on a Mac!!! I know who one of them is, but that’s all…. What does “bipolar” mean? To me it means the same as “depressive”, or “schizophrenic”, or “obsessive compulsive”, or or or… It’s one of many ways of how to react to the world. Most of our ways of how to react to the world can be psychiatrically labelled, and they will almost inevitably be labelled so whenever an individual, or his/her surroundings, experience his/her way of reacting to the world as causing him-/herself enough suffering to make him/her, or the surroundings, ask for help (anyone who ever went into a shrink’s office, and got out again without a label??). Reacting to the world always causes suffering. In my opinion, it is of absolutely secondary importance, how psychiatry labels this suffering. It’s part of the human condition and thus common to all of us. I guess, these are just some other words for what Susan already has said above. Gianna – I think that the discussion about brokenness is pertinent to us all. Bipolar or not – diganosed ot not – on meds or not – recovering or not – we all are broken to one degree or another and all are on a journey that unites us, if we allow it, rather than categorizes and divides. Your willingness to share your journey and your openness to us all make it extremely beneficial to stay connected to your blog. ama – I, too, am sorry that things are so dark for you at this time. It helps to have the connections to people who are traveling – and struggling – with whatever life has given. Please stay tuned to Gianna and let us know where and how we can be of help. What else is there but to support one another? Marissa and others…about lurkers…I started visiting your site and, but I try to clear out my computer every time I use it and then I have to fill things out again. Right now I am at a very busy spot in my life, and it seems half the time when I try to enter the required information in other people’s blogs I get some of the code wrong…Like entering the numbers and then I have to do it all over again. I just don’t have time to re enter it. I feel uncomfortable being permanently logged in. I really appreciate you comment. and we are all dysfunctional in some way…again the human condition! Using pattern-processing, all your local blog links could be re-written to suit their new domain. In the interim, you could set your DNS entry for beyondmeds.net to point to some webspace which simply re-directs the surfer to your blog at wordpress.com. You could do that either through a server-level HTTP 301 redirect message, or by using an HTML meta refresh tag. I.e. that would be a re-direct to wordpress.com rather than a re-direct from wordpress.com. I have no idea what you’ve just said Sloopy! I have even less idea, Gianna 😉 I just cut-and-paste! Happy packing! And keep an eye on the cats. They love packing boxes. We panicked in the last move when our tomcat vanished. After much heartache, he turned up safe and sound, fast asleep in with the kitchenware! For me, the personal connections I establish [even if they’re in cyberspace instead of IRL] are vital to my mental health. well, since i scared everyone (well, not exactly everyone) with my bleak bleak comments, let me just announce to the lovely Beyond Meds community that those dark cracks are closing. it’s going better. you guys are very sweet. thank you all, and thank you gianna. maybe i’ll make it. good chance, actually. phew. I doubt you scared anyone at all…I think the everyone who reads my site regardless of diagnosis understands pain. Wow! I love your blog and I was diagnosed with Being bipolar in 98 but suffer from severe PMDD. I most times think that I suffer more from PMDD than anything. I have started to take myself off my regular medication ( Lithium, celexa, because I only have episodes of mania and other during my period days) Every 28 days I skyrocket and get mean as hell and then usually drop to depression but doesn’t last and then I am on an even keel. So, bless you for being a strong individual for writing this blog and bless everyone else for having enough strength to admit what you have.